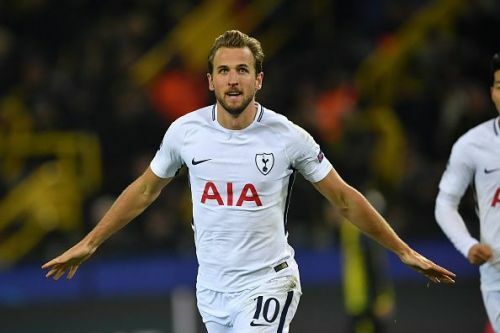 Tottenham came from a goal down to beat Borussia Dortmund 2-1, and advance to the knockout stage of the UEFA Champions League as group winners. Pierre-Emerick Aubameyang opened the scoring in the first half, latching on to a magnificent flick from Andriy Yarmolenko, but Spurs turned the match around after the break. First, Harry Kane slotted home from the edge of the box in the 49th minute, before Son Heung-min clinically finished a chance created by some fine work from Dele Alli. Tottenham were extremely disappointing on Saturday, when they performed meekly in a 2-0 loss to Arsenal in the first North London derby of the Premier League campaign. In the aftermath of that game, there was much talk of Mauricio Pochettino's underwhelming record against fellow big-six opposition away from home - one win in 17 - and Spurs desperately needed to respond on Tuesday night. This was the perfect way to do just that. Tottenham started slowly and deservedly fell behind to a goal from Aubameyang, who had already spurned a presentable opportunity after being played through by Yarmolenko. 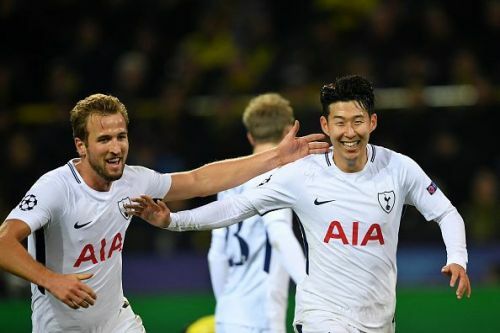 Spurs grew into the game, though, and in the second half, they ruthlessly took advantage of Dortmund's haphazard defending through Kane and Son, with Christian Eriksen and Fernando Llorente failing to convert fine chances of their own. In recent years Premier League sides have been accused of naivety in continental competition, but that charge cannot be levelled at Tottenham. Pochettino's men have demonstrated great maturity in the Champions League this season - not least in their previous victory over BVB at Wembley back in September - and that quality was on show again here.